This is a big week at the box office: Peter Parker makes his highly-anticipated-yet-completely-unnecessary return to the silver screen in The Amazing Spider-Man, and Katy Perry‘s absolutely-unnecessary-but-will-make-stupid-amounts-of-money 3-D concert film is being released. Obviously, as a writer of a comics/pop culture column with a dumb superhero pun in the title, I’m pretty excited about one of these movies. The Amazing Spider-man isn’t the movie I’m most excited to see this weekend at the box office, though. That spot is reserved Savages. I was mildly interested in the movie from the commercials-I like both Benicio Del Toro and Salma Hayek, and I further like violent crime movies, but it wasn’t really even on my radar until I saw Conan O’Brien’s interview with Blake Lively several days ago. It turns out Savages is co-written and directed by Oliver Stone, and, even better, apparently is a return to violent, excessive form for him. While I wouldn’t call myself an Oliver Stone fan (I’ve consciously avoided seeing any of his movies from the last ten years), I really enjoy and respect his body of work prior to about 1997 (though I neither enjoy nor respect his ridiculous and paranoiac political ranting and and raving from the same period). 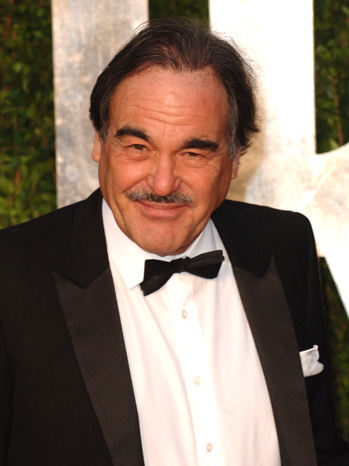 Oliver Stone has the same unnerving, half-crazed facial expression in every picture of him made in the last 30 years. 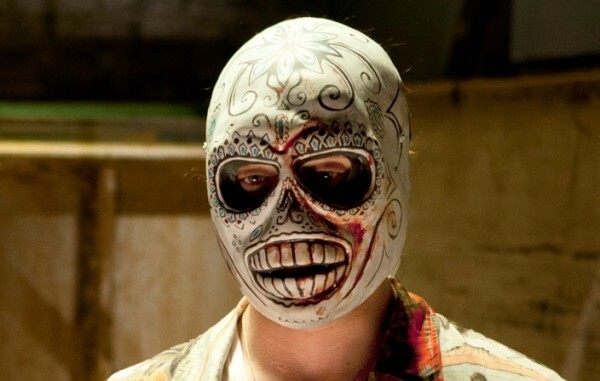 Critics have compared Savages to Stone’s previous films Natural Born Killers and Scarface, his match made in sleazy, blood-soaked heaven collaboration with Brian De Palma. Both films were highly controversial when they were released; Scarface was originally given an X rating for the extreme amounts of violence, and Natural Born Killers was given the equivalent NC-17 rating, and had to have several minutes cut to secure a friendlier R.
It’s not just the violence in these movies that makes them noteworthy, though. Scarface is an epic crime film, with an anti-hero steeped in greed, grandiosity and hubris; the dark, compelling story of rise and fall seems to embody the culture of consumption in the 1980’s, and Tony Montana seems to prefigure the character Gordon Gekko in Stone’s later film Wall Street. 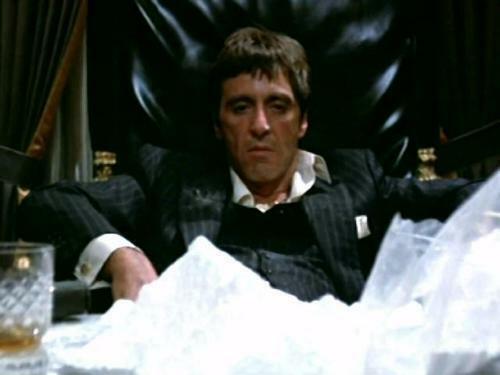 This is approximately the amount of cocaine Oliver Stone did while making Scarface and Natural Born Killers. Natural Born Killers is a completely different animal, though; Scarface is a more elegant and subtler piece than NBK (and is one of a rare handful of movies that can make Scarface seem subtle in comparison). Natural Born Killers is terrifying and intelligent; its pitch-black humor and social commentary combine with its jarring editing and stomach-churning violence to create a unique and alarmingly entertaining viewing experience. While Savages has yet to prove itself as a defining film of its era like some of Oliver Stone’s previous work, it still looks to be an entertaining, gripping ride, and a movie I’m excited to see this weekend. I don’t always like reading reviews before I see movies, so I might be completely wrong about Savages. But if you want to take a breather from the summer of superhero movies before The Dark Knight Rises comes out on July 20th, consider seeing Oliver Stone’s newest film (and say a little prayer of thank-you that it seems to be devoid of political grand-standing). There may not be superheroes, but there are still masks. Tagged cs, film, Katy Perry, movie, movies, Natural Born Killers, NBK, Oliver Stone, Peter Parker, Spider Man, Wall Street. Bookmark the permalink.